Welcome to another First Kiss Friday with yours truly! This weekend I’ll be celebrating my birthday so I’d like to take you back to the beginning and the book that started my whole medieval & time travel series: If My Heart Could See You. In case you need a reminder for this scene, Amiria of Clan MacLaren is ill and running a fever. 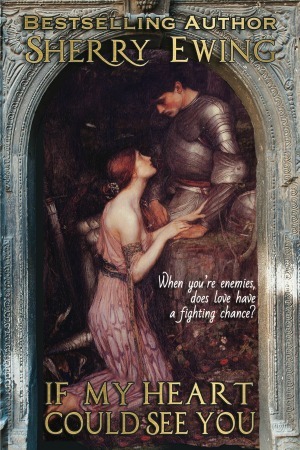 She even thinks that she is wed to Dristan, the Devil’s Dragon of Blackmore, while he watches over her with worry. Happy reading and enjoy! And just in case you can’t get enough of my medieval & time travel romances, Medieval Monday will start again this coming Monday, January 29th. I’ll be giving away an eBook to one lucky winner who follows my snippets and comments on the blog hop. Good luck and thanks for stopping by my site! It’s the last Medieval Monday before the group of author’s I’m with begins their next theme. 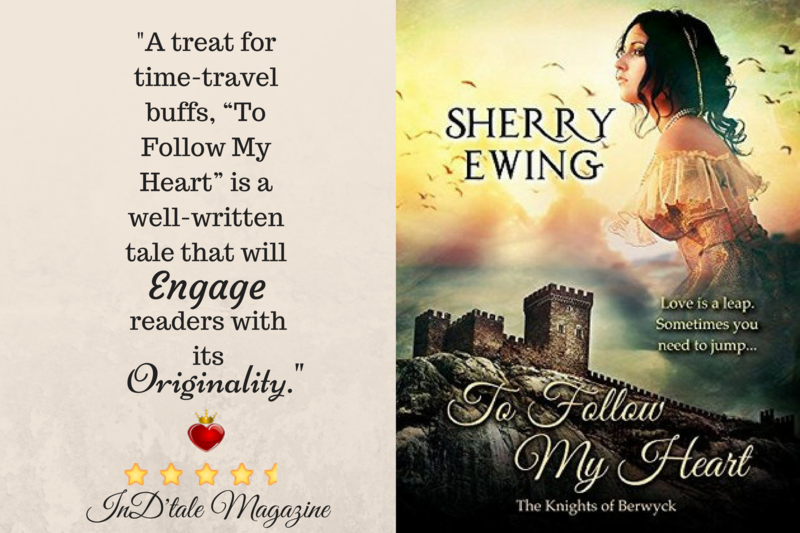 Today I’d like to give you an excerpt from To Follow My Heart: The Knights of Berwyck, A Quest Through Time Novel (Book Three). I just love Fletcher and was glad I could give him his happily ever after ending. In this scene, Jenna is waking up after passing out after her trip through Time. Read on and enjoy this excerpt! A strange sound rustled across the floor. Footsteps. Softly tread, as if not to wake her. “I will see to her.” The man’s voice that penetrated through her dreams was forceful in nature, as though he was used to being obeyed and his orders kept without question.A strange sound rustled across the floor. Footsteps. Softly tread, as if not to wake her. Jenna’s thoughts were foggy as she woke, her mind awash with flights of her wildest fantasy that swam in her head. She had been having the most fanciful hallucinations of castles and knights, and heaven and hell. She certainly preferred the former over the premonition of being doomed to the underworld. 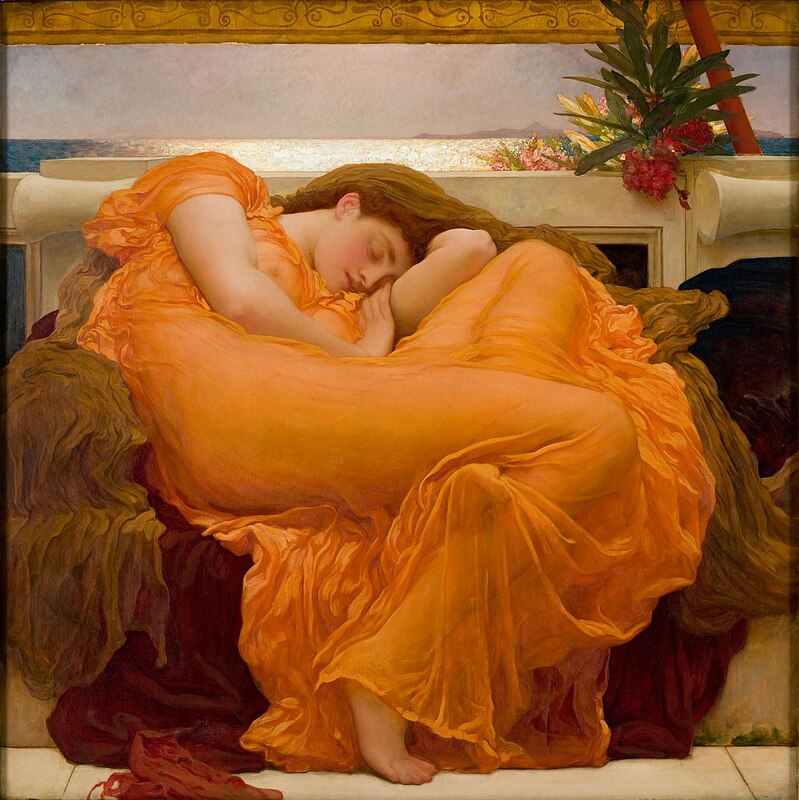 Feeling relaxed for the first time since her ordeal with Dylan began, a sigh escaped her. She needed to get a grasp on the reality of her life instead of some fiction she created in her imagination from whatever novel she had been reading. 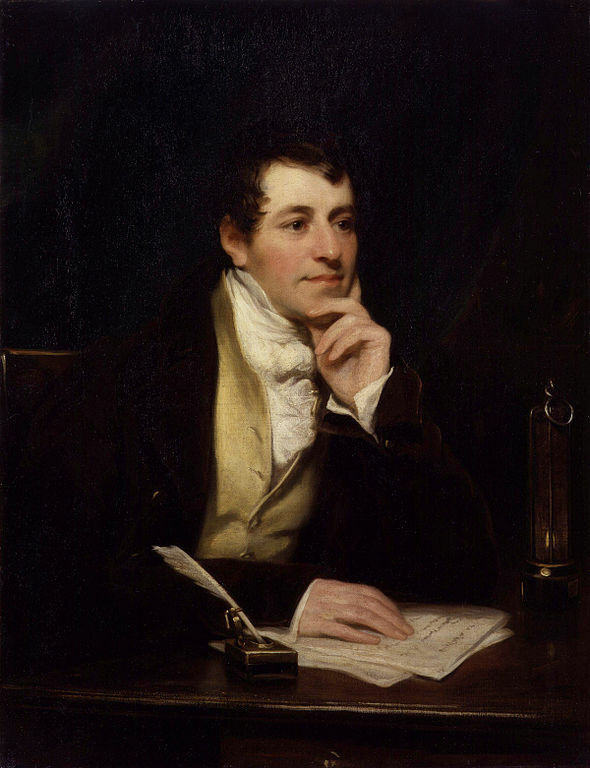 Mr. Darcy certainly wasn’t about to come knocking at her door anytime soon, and what a shame was that. She rolled over onto her back with another heavy sigh. As she stretched in the bed, she realized her head was pounding with one of the fiercest migraines she had ever had in her entire life. 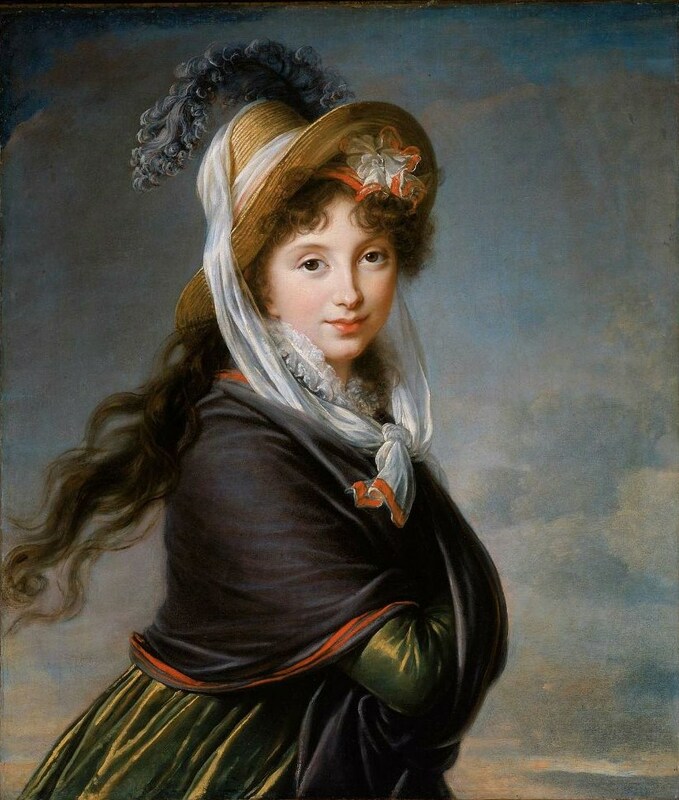 Her hand reached up to feel the large knot, and she felt a bandage wrapped around her head. What the heck? As she attempted to sit up, her head began to spin, and she fell back on the pillow. Something pricked her cheek, and she took hold of whatever was piercing the linen. 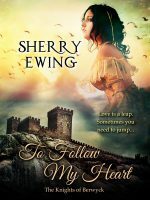 After pulling it free, she tried to focus on the fact she was holding a quill from a feather in her fingertips. Where in the world did a feather pillow come from? She generally stayed away from buying them, finding they tended to flatten out and not be so poufy. When she made a grab for her blanket, a gasp escaped her as her hand came in contact with fur. Her gaze riveted around the room, only for her to realize she certainly wasn’t in her own bedroom, or any other room familiar to her. A long thin candle was lit on the bedside table, and shadows cast themselves onto the wall from the fire lit in a fairly large hearth she could have easily stood in. The walls were made of stone, and the floor was bare. And then, she slowly became aware of his presence when her gaze again swiveled to the fireplace, and she blinked, as though she didn’t want to recognize she wasn’t alone. The man just sat there in silence, staring into the flames with his face hidden in the shadows of the room. Who is he? Has he taken me captive? “Where am I?” Jenna’s voice was raspy, and she hardly distinguished it was her own. Jenna’s mouth dropped open. “Excuse me?” Did he actually use the word ’tis? He seemed to be waiting for her to speak and peered down at her until she let out a burst of laughter. “Oh, this is just too crazy,” Jenna replied, causing the giant beside her to frown. “Right…” Her eyes flicked around the room again in disbelief of what he was telling her. “You doubt my words?” the man asked. He, too, looked as puzzled as she was feeling. “What?” his brows knitted together again, and Jenna began to have the distinct impression this man wasn’t used to having his words questioned. “My apologies for the lack of introduction. I am Sir Fletcher, captain of the garrison knights here at Berwyck, and at your service.” He bowed before her like someone out of one her romance novels. What a great actor. “What in God’s wounds is a moo-vie?” His voice boomed, almost rattling her teeth with the level of sound it carried in the room. “Dammit, stop playing games with me. What are you trying to pull on me anyway? This isn’t funny anymore, and I want to go home.” She was getting angry and scared, all rolled up into one huge ball of emotion, and she was about to break down. Jenna didn’t want to become unhinged from the little bit of reality she had been holding on to. Fletcher held out his hands, and in her confused state, she assumed he was about to take advantage of her. “Please, calm yourself, damsel. Do you not remember falling upon the beach?” Fletcher asked her in a soothing voice. But there was nothing that was going to soothe her shattered nerves as a flurry of surreal visions flashed before her eyes, as if she were living her last moments on earth. Dylan’s rejection, walking along the beach, the Cliff House, and then being pulled almost as if she was being wrenched…through…through what? My God…it can’t be! A scream of terror burst forth from the depths of her despair. She couldn’t stop, and she slapped away the hands of the madman who seemed to be at the root of her predicament. The bedroom door burst open and slammed up against the wall. Everything seemed to proceed in slow motion. A bevy of people suddenly filled the room that appeared as though it was growing smaller and smaller by the second. Heated conversations with raised voices swirled around her, conversations she couldn’t keep in order, as sweat began to bead on her upper lip and forehead. Her eyes became blurred once again until she blissfully passed out, and nothing of her fate troubled her further until the dreams came. 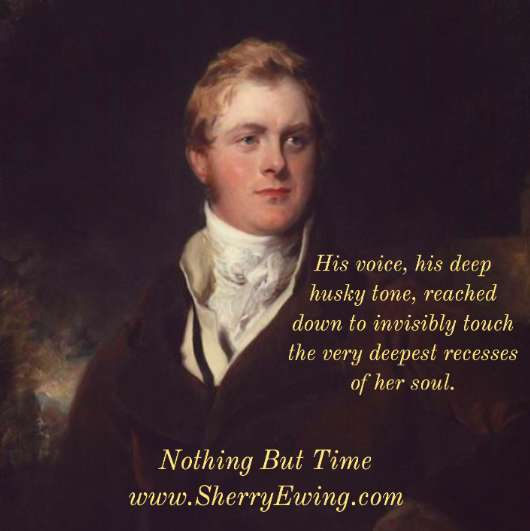 They were restless and filled with the picture of a man who called her name through time itself, begging her to join him, even as she resisted the pull of his irresistible charm. 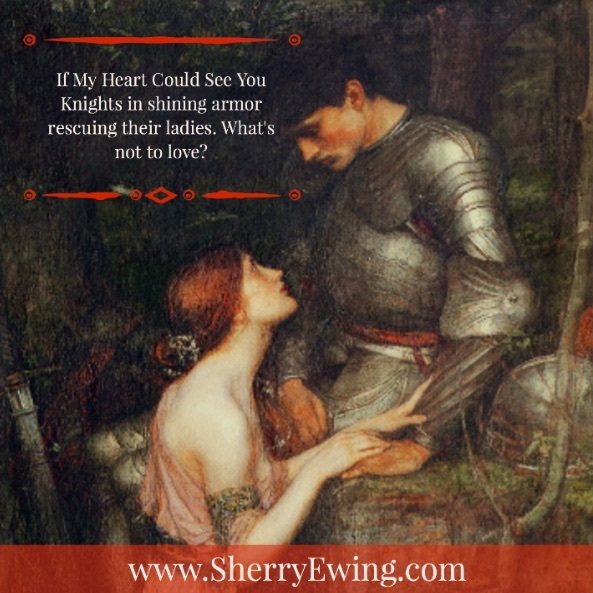 Medieval Monday with Sherry Ewing and a Giveaway! For the next few weeks, I’ll be sharing some of my own work for Medieval Monday until the group of authors I’m with start its new theme in August. That being said, I’m celebrating this month and with good reason. Three years ago this month, I published my very first book, If My Heart Could See You, and it hit Amazon’s bestseller list three days after the paperback release. 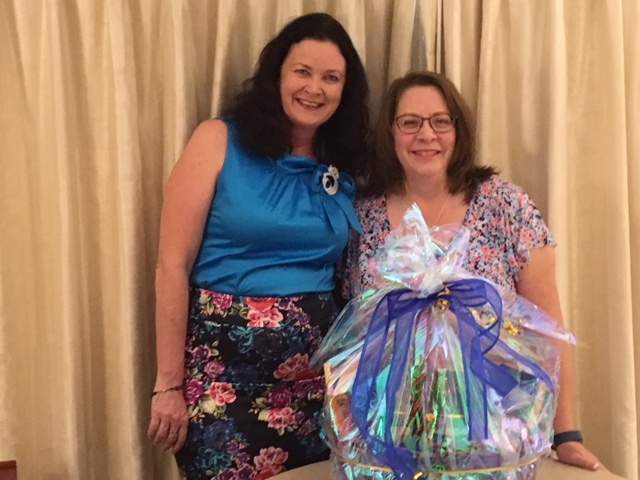 Can you say happy author? 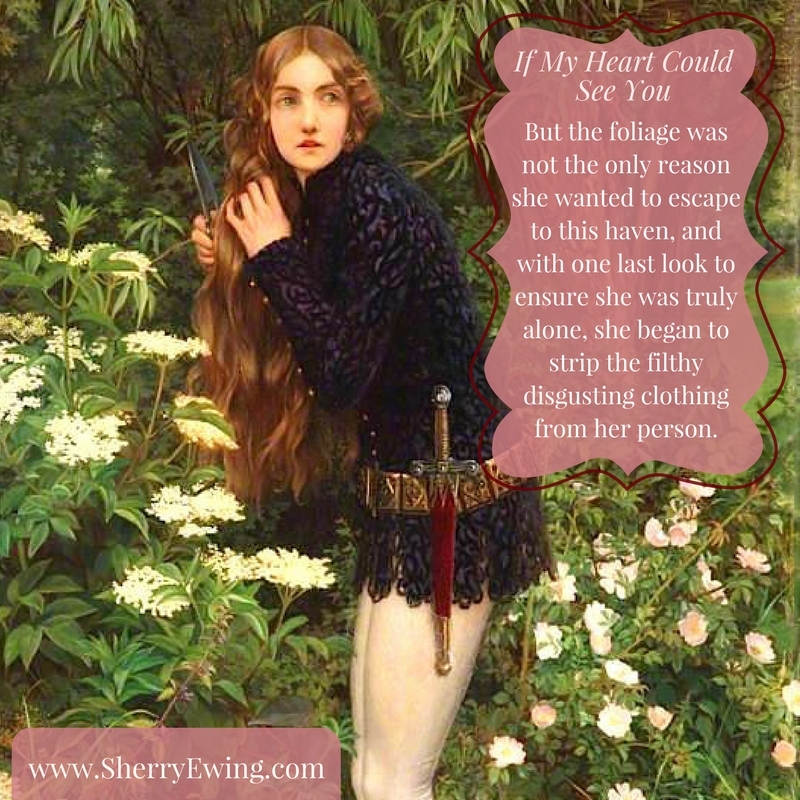 So come celebrate with me and let’s go back to the beginning of my medieval/time travel series with If My Heart Could See You. I decided to spice things up several levels so reader beware. In this scene, Amiria is still masquerading as her twin brother, Aiden. Since you’ve given so much to me with your incredible reviews, I’m sharing the love with a giveaway. I’ll give one random comment the gift of an audiobook of If My Heart Could See You so get busy leaving me a comment! I hope you enjoy this excerpt. Amiria made her way into the keep, pushing and shoving her way through the throng of men and serfs alike, who still gathered in the hall. The tables were in the process of being removed ’til needed for the next meal. Some of Dristan’s men grabbed blankets and took themselves off to find places to sleep upon the floor since the garrison hall was near to overflowing with his army. Her family, it seemed, had already retired for the evening and was no longer present in the Great Hall. She saw her men near the hearth and they rose as if to follow her upstairs. With a slight shake of her head, they ceased their movement and returned to their conversation, with the exception of one. Killian made his way to her side and halted her progress up the stairs. His kindly eyes looked upon her like a daughter and all Amiria wanted to do was rest her weary head upon the shoulders of a man who was considered part of her family. “Aye, Aiden mayhap, if ye were in truth a younger version of yer brother. Ye must put an end to yer deception afore it blows up in yer face, lassie!” Killian hissed. Amiria patted his arm, not that it provided the man any comfort. “I know not how,” she whispered softly and watched him take his leave to return to the men. Climbing the winding stone steps to the upper floors, Amiria passed numerous torches giving off a slightly smoky haze in the stairwell and corridors. Upon reaching the third floor landing, the passageway veered both to the left and right, leading to the family’s private chambers. Her normal path would have taken her along the stone flooring leading to the left towards her own chamber, but this night was different. She took a brief breath and turned right instead to obey the summons she had been given. Her feet, trudging along the passageway, felt heavier than ever afore from the weight of the lie she continued to take part in. It took her what seemed only a moment ’til she came afore the chamber door that once housed her father for as long as she could remember. Without further delay, she knocked on the solid portal then opened the door when she heard the command to enter. As the door swung inwards, Amiria felt as if the world as she knew it now traveled in slow motion. Her eyes beheld a sight she had never seen afore and caused her mouth to hang open in a silent O of startled surprise. There afore her, the Devil’s Dragon rose in all his naked splendor from the wooden tub. The water ran from his glorious body, causing it to glisten from the candlelight with a sleekness that left her breathless and reminded her in truth of an all-powerful dragon ready to take flight. Her heartbeat quickened and she at last remembered to draw breath since it had been taken from her at the sight of such magnificence. Yea, he was indeed most handsome, especially since his face was now completely shaven and she had a full view of his visage. If a man could be described as beautiful, ’twould certainly suit the man standing afore her now. She turned her gaze back into the room and saw Patrick was indeed trying to haul the bucket, containing the rinse water, to their lord. He raised his eyes and Amiria knew he was not pleased his sister was in her current predicament. Even at only eight summers in age, Patrick knew ’twas not seemly that she was in the presence of a naked man. Their father would have never approved. Although assisting in the bathing of a guest was a regular routine and usually performed or directed by the lady of the castle, this ritual was always forbidden for Amiria to take part in by her sire. ’Til this moment, she thought never to see a man in such a state ’til her wedding night. “Aiden! I grow cold,” Dristan bellowed and she could only imagine his thoughts as to what had befallen her to act so sheepish around him. After all, as far as he was concerned, they had the same parts. Amiria came farther into the chamber and took hold of the pail in Patrick’s hands. Apparently, her brother had other ideas in mind and a pulling war commenced between them whilst he refused to give up the handle. Amiria gave one final tug, and her sibling at last released his grip with a decisive plea in his eyes, which she ignored whilst water sloshed from the pail. Her gaze averted from the man, who was patiently waiting, she slowly made her way to the side of the tub. Standing upon a stool, she raised the bucket and dumped the contents of warm water over her lord. Stepping off the stool, she watched through lowered lashes whilst Dristan shook the water from his hair. He came out of the tub, took a drying cloth that Patrick now handed him, and began to rid himself of the water that dripped from his hard muscular body. ’Twas only when Dristan turned, dropping the now wet cloth to the floor, that Amiria’s situation finally penetrated her slow working brain. He was glorious to the eye with a body sculpted as if from stone. Her gaze raked in his body, noticing the broadness of his shoulders and the strength bulging in his arms. Moving her view lower she looked upon the ripples of rigid muscles stretched firmly across his stomach. She could not take her eyes from him, and blushed crimson when she glanced even lower to his manhood. Amiria made as if to speak, but found herself unable to do so as her mouth became suddenly dry. After several attempts, she took one last look into her lord’s grey eyes and bolted for the door. Her cheeks, she knew, must be flaming red in embarrassment. Slamming the portal closed as she fled, she began running as fast as her feet would carry her. As she dashed down the corridor, she could hear Lord Dristan’s voice roaring Aiden’s name. She halted briefly at her chamber door, but knew no solace would be found there since ’twas the first place he would search. Her mind quickly made up as she sprinted to the end of the hallway, Amiria gave only one brief hesitation afore she fitted her fingers between the rough worn stones and felt the catch to open the hidden doorway. Closing it softly behind her, she slipped into the darkened stairwell leading to the strand below. She did so cautiously, since she brought no torch with her to light her way in her haste to leave the castle. She changed her clothing for one’s she kept hidden in a chest far below afore she ventured out into the ocean air to clear her head. 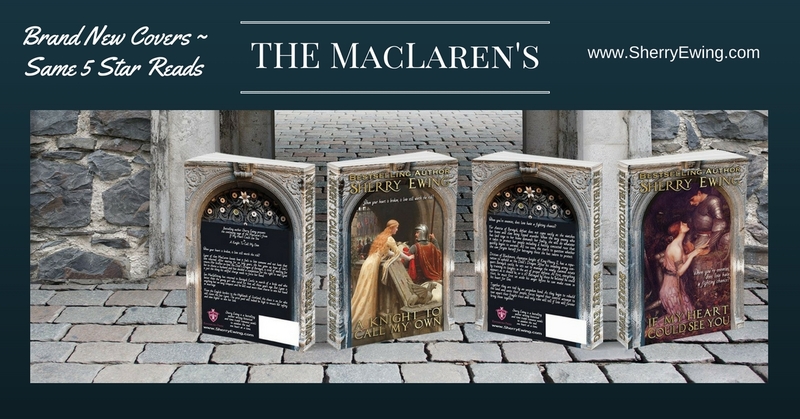 Learn more about my books on the tabs above and thanks for stopping by for another Medieval Monday! 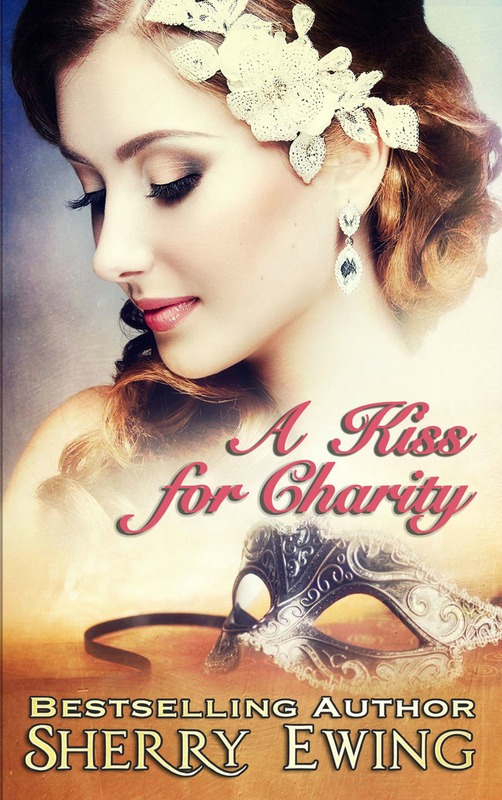 Happy Release Day for A Kiss For Charity! Today I’m happy to announce the release of my novella, A Kiss For Charity, which first appeared in the Bluestocking Belles’ 2016 box set, Holly and Hopeful Hearts. I hope you’ll support me by picking up a copy for only $0.99. You’ll also find extra bonus material from original posts that appeared in the Belles’ Teatime Tattler blog. 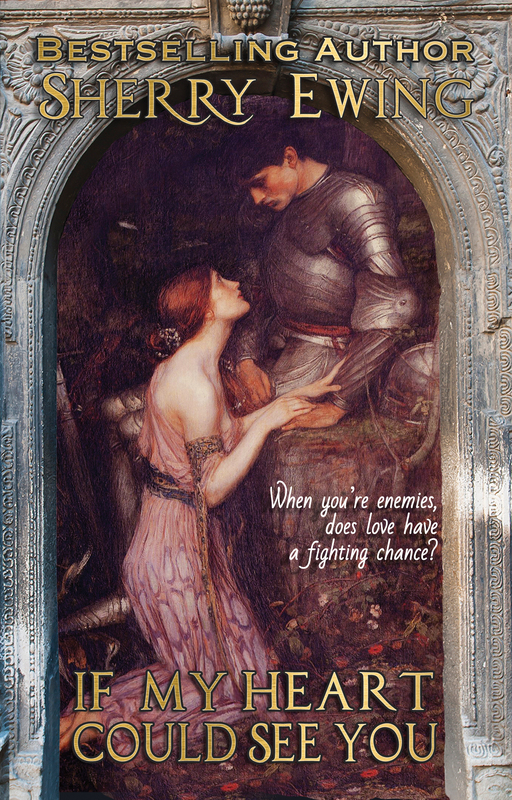 Enjoy this excerpt of Nicholas and Grace’s first encounter! A Kiss For Charity is officially launched! 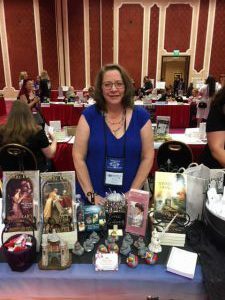 Today on First Kiss Friday I am featuring the first kiss scene from A Kiss For Charity, a sweet Regency era novella that first appeared in the Bluestocking Belles’ 2016 box set, Holly and Hopeful Hearts. The Belles and I will be celebrating the individual release of our novellas this coming Sunday with a Facebook event. We hope you can join us. Keep reading and I hope you enjoy the first kiss between Nicholas and Grace! He bowed. She curtsied. 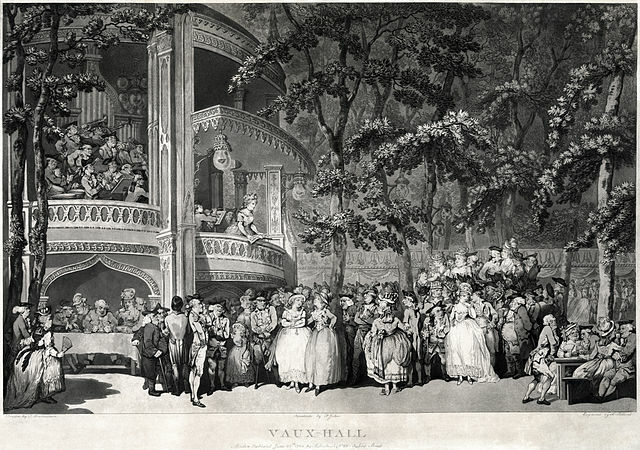 The musicians struck up a chord as if Nicholas had instructed them to do so for his own benefit. He held out his hand. A bold move, but one he was willing to take this night. Her gloved hand slipped into his, and he felt as though he had waited his entire life for her to say yes. Yes to the dance. Yes to anything else he might propose, be it for one night or something they might both wish to be a longer commitment. She was an accomplished dancer. He had already witnessed her talent, yet it was far more pleasurable to watch her when she was now his partner. He wished to know who she was, but the fast-paced dance was hardly a place to carry on a meaningful conversation about getting to know one another. The evening was cool, and when he saw her shiver, he shrugged out of his jacket since he had left his cape behind in the supper box. He placed the garment about her shoulders. She took hold of the lapels and brought it closer. He swore he could hear her sniff the edges as if she were committing to her memory the smell of his cologne for when he was gone. “Who are you?” he asked, taking hold of both her arms and bringing her closer. 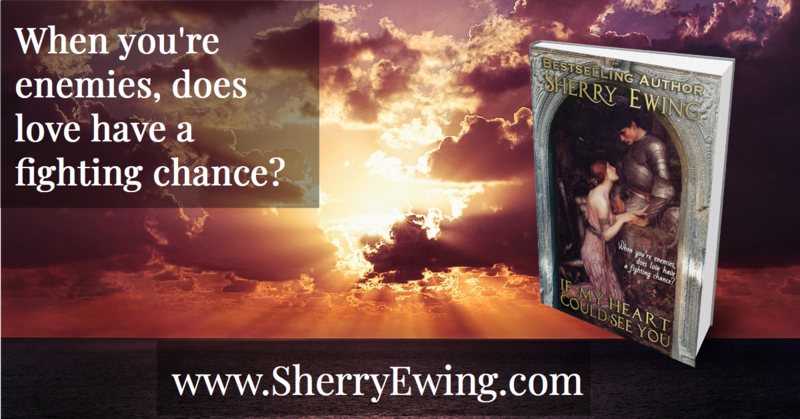 Grace was unsure if it were the moonlight that drove her to such reckless behavior or the thought of having just one moment in time to treasure with a man who wanted to be with a mysterious and, perhaps, desirable woman. In either case, nothing prepared her for the instant their lips met. She supposed, since she did not protest going down the garden path with him, this would be the natural course of what would happen. But still… surely she was slipping at the very brink of tasting heaven itself from their first kiss. Such a kiss was at first like an introduction when his mouth slowly slid over hers as though he were searching for some hidden meaning to their attraction to one another. There was nothing demanding or urgent in seeing the matter over and done with. No, the kiss was a mingling of breaths. It was two souls connecting in the night. A simple kiss, yet there was nothing simple about it. He stopped as quickly as he started then stared into her eyes, yet she knew the mask hid her features well enough that he would be unable to identify her in the light of day. For more information on my work, be sure to check out the tabs above and thank you for stopping by my blog today!